German printer; born at Dyhernfurth Dec. 29, 1764; died at Breslau Dec. 1, 1810. His father had a printing establishment at Dyhernfurth, to which Joseph and his brother succeeded. 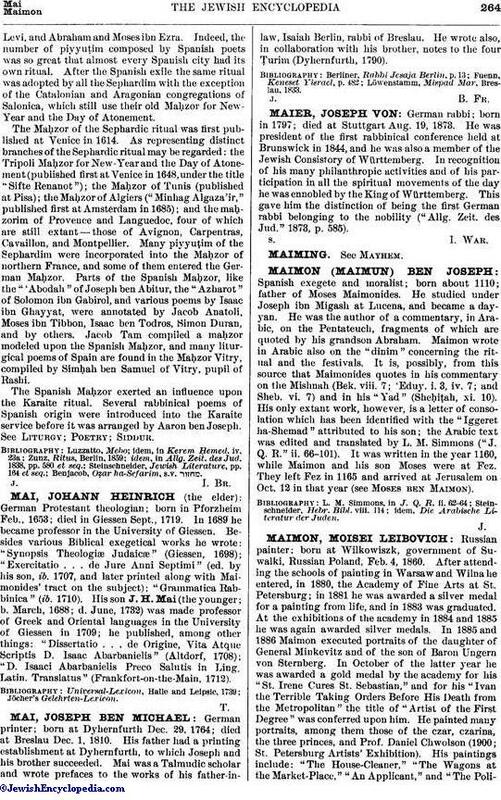 Mai was a Talmudic scholar and wrote prefaces to the works of his father-in-law, Isaiah Berlin, rabbi of Breslau. He wrote also, in collaboration with his brother, notes to the four Ṭurim (Dyhernfurth, 1790). Löwenstamm, Mispad Mar, Breslau, 1833.